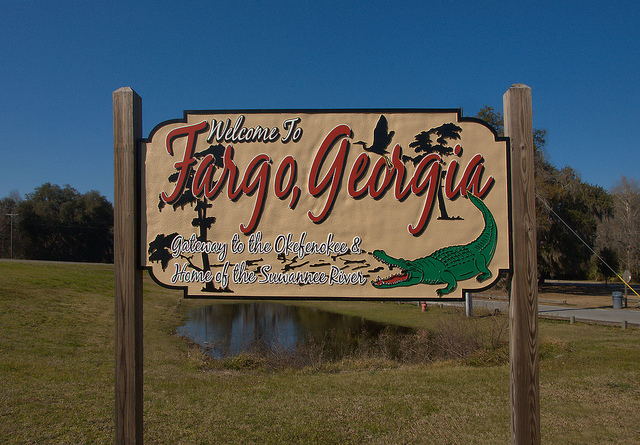 Fargo is one of the most isolated towns in Georgia. And with a population under 400, it’s definitely got a small town feel. Its isolation is what I like best about it, but amazingly, it has a restaurant and nice motel. 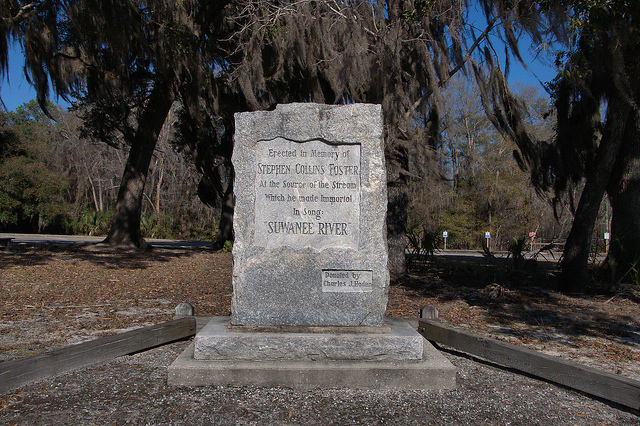 The people are friendly, the natural scenery is unparalleled, and the Okefenokee Swamp and Suwannee River are just waiting to be explored. This stretch of US 441 constitutes Fargo’s “Main Street”. 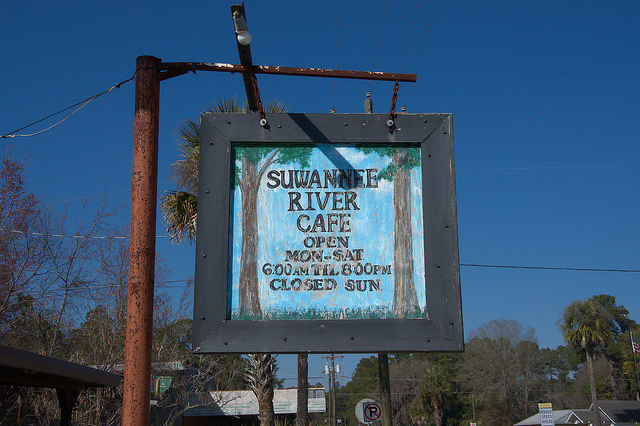 There’s a convenience store and the Suwannee River Cafe across the road and the buildings seen here are associated with Suwannee River Outfitters. They’re the go-to guides and equipment specialists for anything you might want to do in the Okefenokee Swamp or Suwannee River. If you’re planning a trip to the area and need help getting around, call them at 912-637-5114. They’ll be glad to help you. This is a great little restaurant and the employees are some of the friendliest you’ll find. They’re used to people being surprised by Fargo’s isolation and they’re glad to give you advice, directions, and any tips you might need on rambling in the area. It’s worth a stop and if you’re hungry, it’s the only restaurant in town. They also have a nice collection of local relics, as well as some beautiful handmade canes and walking sticks for sale. 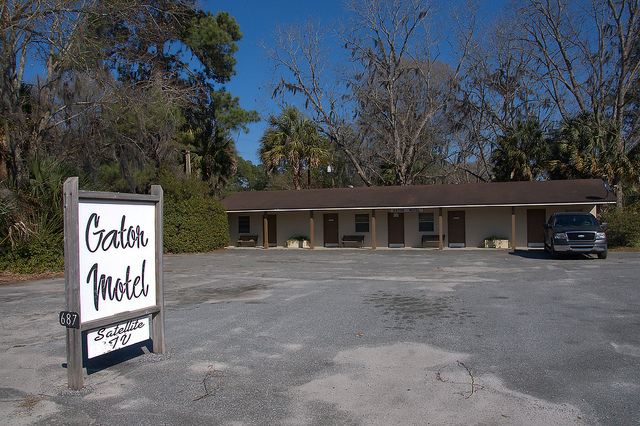 If you want to stay in Fargo and explore the Okefenokee, the Gator Motel is the place. 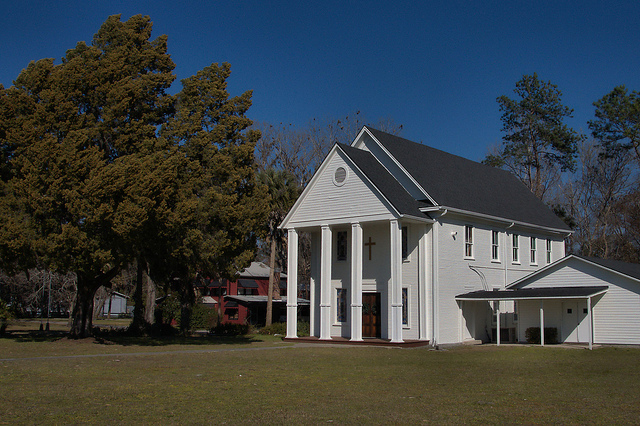 The South Georgia Conference of the United Methodist Church writes: Fargo is on the western side of the Okefenookee Swamp and records of Methodism are few. Methodist meetings were held but no records of this have survived. 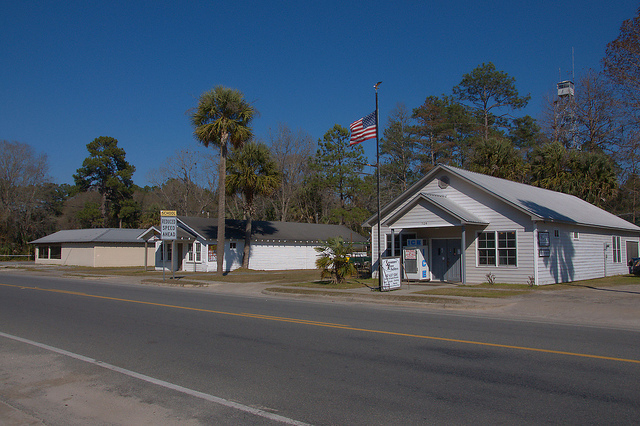 In the late 1890’s, the Baxter Timber Company built the Hamby Masonic Lodge and the community and church used the lower floor. When the depression hit, the Baxter Company turned the lodge into a hotel. The church moved to the school until the hotel failed and then Fargo moved back into the lodge building. Until the roads were paved in the 1950’s, the preacher would arrive by train on Saturday evening, preach, take the noon train to St. George, preach and return to Fargo again at night. During the Sunday school attendance contest between Fargo and Statenville, the Fargo superintendent had to wire Statenville when Fargo hit the 100 mark because there were no phones. 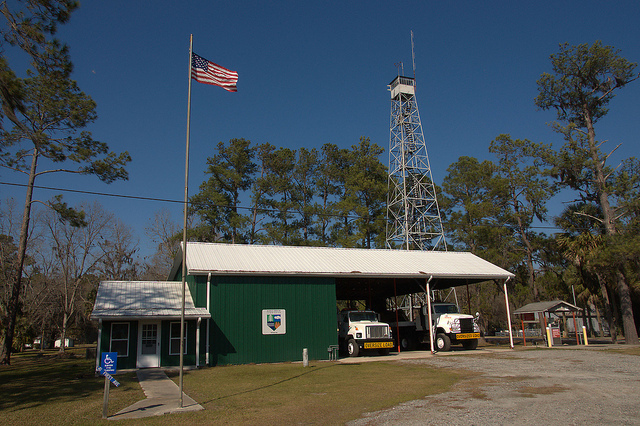 Most fire towers have been decommissioned in Georgia, but Fargo’s is very relevant. 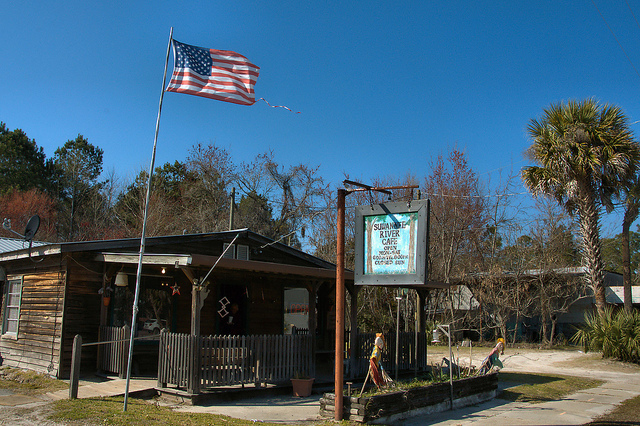 The town was threatened by the Bugaboo Scrub Fire of April & May 2007, the largest wildfire in Georgia history. The monument was donated by Charles J. Haden.